Many of these symptoms are indicative of a decrease or imbalance in hormone levels. Your hormones control most of your bodily functions, and when they are out of balance, it can have a significant effect on your overall health and well-being. 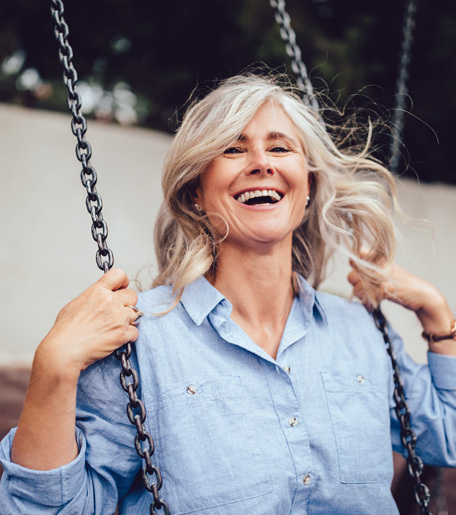 The goal of bioidentical hormone replacement therapy (BHRT) is to alleviate these symptoms by replenishing hormones that your body needs to function. What Is Meant by Bioidentical, and Why Is It Preferred Over Non-bioidentical? Bioidentical hormones are molecule-by-molecule exactly like the hormones made by the human body. The difference between naturally occurring bioidentical hormones versus synthetic non-bioidentical hormones is in their molecular structure or shape. In order for a replacement hormone to fully replicate the function of the hormone that your body naturally produces, the chemical structure must exactly match the original. It is the structural differences that exist between human bioidentical and non-bioidentical hormones that are responsible for side effects and health risks that occur when non-bioidentical hormones are used. Many patients opt for BHRT because it is not a one-size-fits-all approach to healthcare. Each bioidentical hormone prescription is custom compounded, based on each patient's individual symptoms, hormone levels, and diagnostic results, making bioidentical hormones safer and more effective in comparison to conventional (synthetic) hormones. Every person is unique and so is the therapy. The precise dosing of your therapy will be determined after consultation and evaluation of laboratory blood tests, and may be adjusted as needed. Bioidentical hormone pellets are obtained in various strengths from a highly rated commercially licensed compounding pharmacy. The hormones are derived from an ingredient found in many vegetables including yams and soy beans. Usually, only testosterone and estradiol (a necessary male and female hormone, respectively) contained in time-released pellets are inserted just under the skin in the hip area. They are extremely small, usually painless to insert, and provide a steady hormone level for months. BHRT enhances the quality of life for women by minimizing the symptoms of menopause. Pellets provide a constant supply of hormones that your body recognizes as its own, which not only makes them more effective but also reduces the risk for adverse side effects. Pellets deliver consistent, healthy levels of hormones for 3-4 months in women. They avoid the fluctuations, or ups and downs, of hormone levels seen with every other method of delivery, such as creams or pills. This is important for optimal health and disease prevention. Women need adequate levels of hormones for optimal mental and physical health and for the prevention of chronic illnesses. There is no other method of hormone delivery that is as convenient for patients as pellet implants. Implants are by no means new. They have been used in both men and women since the late 1930s. There is significant data that supports the use of testosterone implants in both men and women. How and Where are Pellets Inserted? Pellets are smaller than a grain of rice and are inserted in the office via a simple, relatively painless procedure done under local anesthesia. The pellets are usually inserted in the fatty tissue under the skin in the upper buttocks through a small incision, which is then closed with skin tape (steri-strip). After the procedure you are free to continue your daily routine. Individual customized dosage is key to success. These implants consistently release small, even doses of hormones that provide optimal therapy. Balancing hormones and taking control of your health is essential for preventing disease and enjoying life. To learn more about bioidentical hormone replacement therapy offered at Levin’s Women’s Health & Wellness Center in North Miami, Florida, call us today at (305) 981-0231 to schedule an appointment or use our convenient online form.